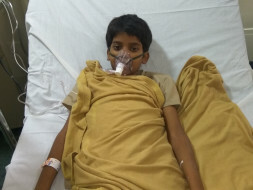 For the last 10 days Basudev was suffering from a severe fever, body rashes and throat pain and when his condition was very severe he was brought into the hospital where he was diagnosed with a disease called Aplastic Anemia. Aplastic Anaemia is a condition that occurs when your body stops producing enough new blood cells. Aplastic Anemia leaves you feeling fatigued and with a higher risk of infections and uncontrolled bleeding. 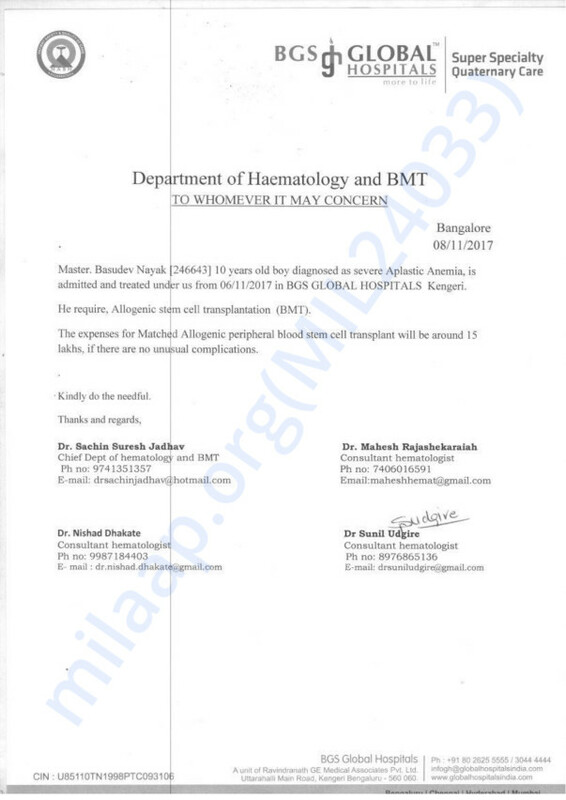 Basudev was advised to undergo a Bone Marrow Transplant at the earliest in order to treat his condition. The total cost of treatment is amounting to 15 lakh Rs. Unfortunately, Nakula, Basudev's father is only earning 8000 Rs a month and doesn't have the funds to pay for his son's treatment. He needs our help. Your contribution can help Basudev get the treatment he deserves. We have some unfortunate news to share. Basudev expired last week. Hope the family finds strength in this time of need. Get well soon champ.God bless u.